Addison's Disease Awareness: Valentino's Story | Dawg Business: It's Your Dog's Health! Valentino came into my life in Feb 2007 when he became my foster after a close call at a high kill shelter—I was the third foster to be "recruited" after the first two had turned him down because he would be a long term foster due to his poor condition. Valentino was half an hour from being euthanized. He was an emaciated stray, missing most of the hair on his sides (his skin was a bright shiny pink!) and a strip of blond hair like a mohawk down his back, weighing barely 30lb—he is now a healthy 55lb. It took 3 months to restore him to health and put some weight on him. By that time, I had become a foster failure and Valentino was all mine! He slept most of those first 3 months between meals and going potty before he seemed to have recovered. We started going to a dog park regularly and he loved chasing after tennis balls. For a couple of months he seemed like the ever-ready bunny—never wanted to stop playing. On a few occasions, he would chase the ball 5-6 times and then come lie down next to me and didn’t want to play anymore. He started having symptoms of lethargy, lack of energy and inability to get in/out of the car for a couple of months and while he never lost his appetite completely, he started picking at his food trying to eat. I knew something was wrong, but each time I reported his odd behavior to our vet at the time, she dismissed his behavior as "acting out". No tests were ever suggested. Ten months after being rescued, Valentino collapsed completely and it took me several hours before I could get him out of the car after going to the dog park. Our journey with Addison's disease began. Valentino's vet couldn't "fit" us in for another week so we went to a friend's vet— this new vet, whom we had never seen before, even carried Valentino from my car to the office and back to the car to go to the specialty hospital for the ACTH. This vet acknowledged that he had never diagnosed AD before and was not familiar with its treatment and deferred to the IM specialist. He referred us to for treatment, yet he suspected Addison's immediately after his initial exam. 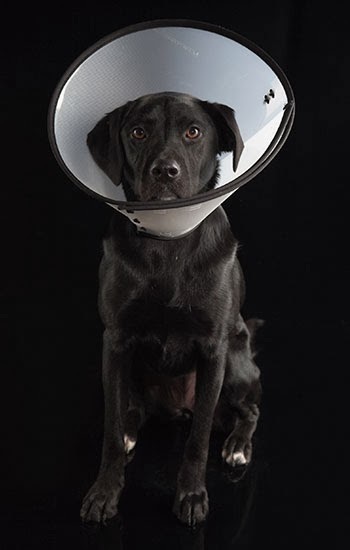 While I was at the specialty vet clinic, a friend was researching canine Addison’s disease online for me and found the Addison’s Dog support group at yahoogroups and it was a welcome lifeline! It was confusing for the first year because I was reading things in the group that were different from what the IM specialist was telling me. I later came to the realization that people in the online community were much more knowledgeable about canine Addison’s than even many IM specialists and vets in general since they live with their Addisonian dogs 24/7 and see subtle changes in their sense of well-being and the effects of too much or too little medication. It's hard to know if Valentino’s AD might have been waxing and waning from when he first became my foster, as he had been so ill and emaciated when I first got him. After his collapse he spent two days at the specialty hospital and few days later he felt well enough to try to abscond with the Christmas duck that was draining in the kitchen sink (he is rawfed and obviously could not resist a plump raw duckling!) Luckily he was nabbed en flagrante as he was heading out the doggie door and the duck survived to be served for Christmas dinner as intended! And yes, he did get some of the duck for his Christmas dinner as well. Valentino was started on florinef/compounded fludrocortisone at .4mg (lower than recommended for his weight) and 2.5mg pred in 12/07 and stayed at that dose for a year as his electrolytes were perfect. After a year, his electrolytes went out of control and within the next six months, he had weekly increases in his florinef until he arrived at 2mg and his electrolytes were still not under control. One of the patterns I've noticed over the years though, is that many dogs started on a lower dose of florinef/fludrocortisone than the recommended .1mg/10lb and on a higher dose of pred is that they end up playing catch-up later and it's seems harder to get their electrolytes under control, which ended up being our experience. It should also be noted that florinef/fludrocortisone is a human medication and some dogs are not able to metabolize it efficiently and need increasingly higher doses or need to use the monthly injectable med – Percorten-V.
We found a vet 1.5 hrs away who was willing to work with us and start Valentino’s Percorten-V dose at 1.8ml, which was considered the "low dose" in 2009 (0.75mg/lb vs 1mg/lb standard dose), the standard dose was 2.2ml (I remember thinking I wouldn't even get 2 doses out of each vial at a monthly cost of about $100 just for the Percorten!) Over the years, we slowly reduced by 10-20% at a time. We started at 1.8ml in 7/09 and did not even get to 1ml til 9/10, .75ml in 6/11, .5ml in 10/13, current .4ml in 9/14. We were all a lot more conservative back then and we did not have enough info on going to lower doses ... except through the experiences of other members of the group. It was all new territory! If Dr Julia Bates’ low dose study had been available in 2009, we could have started at .95ml and gotten to Valentino's lowest effective dose that much sooner and not only would Valentino have felt better all month long between shots, but we would have saved a thousands of dollars on both Percorten and monthly lytes testing as a bonus over the years. I can't say enough about the difference being on lower doses has made in how Valentino feels throughout the month with his electrolytes staying pretty close to the mid-range between doses. He spent years doing "ok"— mopey, lethargic for two weeks after each shot, feeling a little more perky about a week before his next shot was due, then feeling lethargic again when he got another shot— but now he's doing "great" all month long on a much lower dose of percorten! Along with the most recent Percorten reduction, I've also been able to reduce his pred to .5mg - he'd been hovering between .75mg in the winter to 1.25mg in the summer for years. We have also switched to liquid prednisolone as his liver enzymes became slightly elevated and he had started to shed a lot more. PS - Valentino's plight as a sick, unwanted stray was the inspiration for my deep commitment and involvement in animal welfare issues in San Antonio! How many dogs just like Valentino have died because there was no one to step up for them before the mandatory 72 hr stray hold period expired? Do you have a dog diagnosed with Addison's? Is your dog unwell and nobody can figure out why? Addison dogs Facebook support group is comprised of individuals from around the world who are striving toward healthy, active lives for their canine friend(s) with Addison’s disease. They seek to improve wellness for the whole dog—including body, mind and spirit. 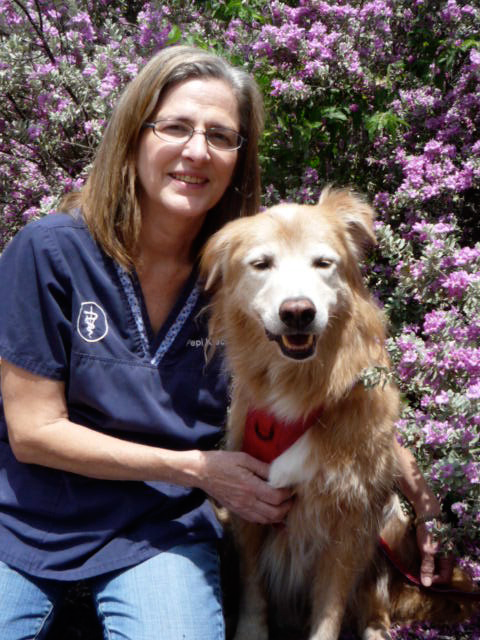 Addison Dogs also works to educate and support the companion animal community about Addison’s disease in dogs. 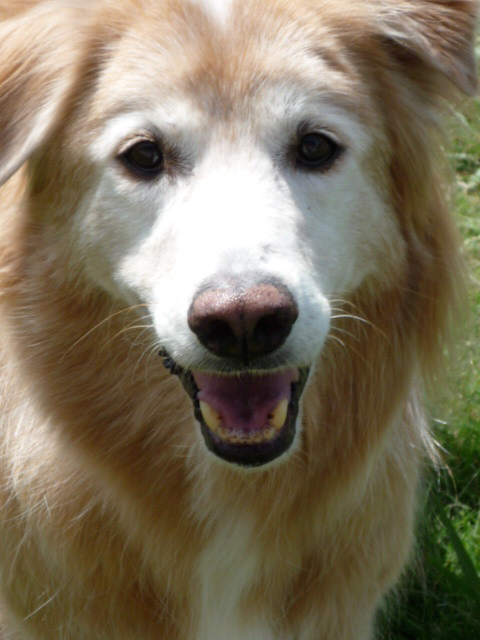 The goal is to foster open communication about the variety of options available to the caregiver of a dog with Addison's disease. Addison's Disease Awareness: What's Wrong With Hannah? Email me, for a chance to win a free copy of Symptoms to Watch for in Your Dog. Very informative post. I was not aware of Addisons disease in dogs. Happy to hear that Valentino was able to get a diagnosis and the help he needed from a caring veterinarian. It's not one that is well known but it is one of the top undiagnosed ones. That's why I want to raise awareness about it. I'm so happy to see that Valentino's plight has fueled your efforts to do compassionate things rather than defeating you. It takes a strong person to do what you do. 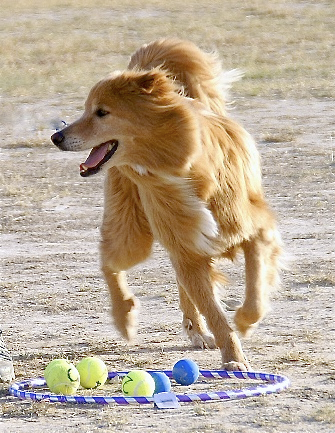 It is great to see that you have found a low dose of medication that works optimally for Valentino. Our whole society tends to be way over medicated in my opinion. He is one lucky dog! I know that Addison's Disease is terrible, but to be so close to euthanasia is frightening. He's also lucky that he found the perfect person to foster him and then claim as her own. I'm happy that he is doing so well now. I've found that people who live with a person or pet with a medical condition are often more knowledgeable f the specifics of a disease than some of the people in the medical profession. I had never heard of this in dogs - I'm so glad you shared all of your experience and info, and so happy that Valentino is doing well - kudos to you for your loving dedication as a pet parent! And double kudos to you for saving him when no one else would. I always think it's a good idea to follow your gut. If a vet says nothing is wrong with your companion, but you feel there is, it's time to get another opinion. I'm glad that he is doing well today. All of your research, talking with others, and persistence in treating his condition has helped your baby to get healthy. Glad he is doing better, he's lucky to have you! I had never heard of Addison's Disease. Thanks for sharing! Great information about Addisons. So glad that you were able to find a community of people who could help you get through this and work with your vet.